This catalog is an overview of recently completed projects, career highlights, works in progress and a look into Gordon’s largest project to date: the Salt Lake City International Airport, a 3.6 billion dollar redevelopment project. 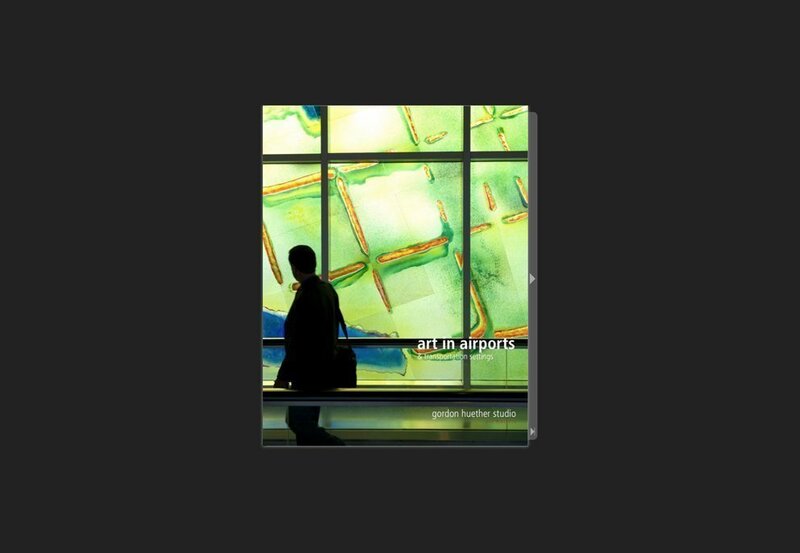 This catalog features a selection of Gordon Huether’s work in airports and transportation settings. Gordon Huether approaches the integration of art in transportation and transit systems as an opportunity to engage travelers and revitalize their experience of the transit space. Local and regional identity is often at the heart of his concepts for transportation hubs and his work conveys the cultural vitality and character of the region. For travelers undertaking a daily commute or a significant voyage, Huether’s artwork injects a sense of surprise and discovery in what can be sterile and impersonal spaces. 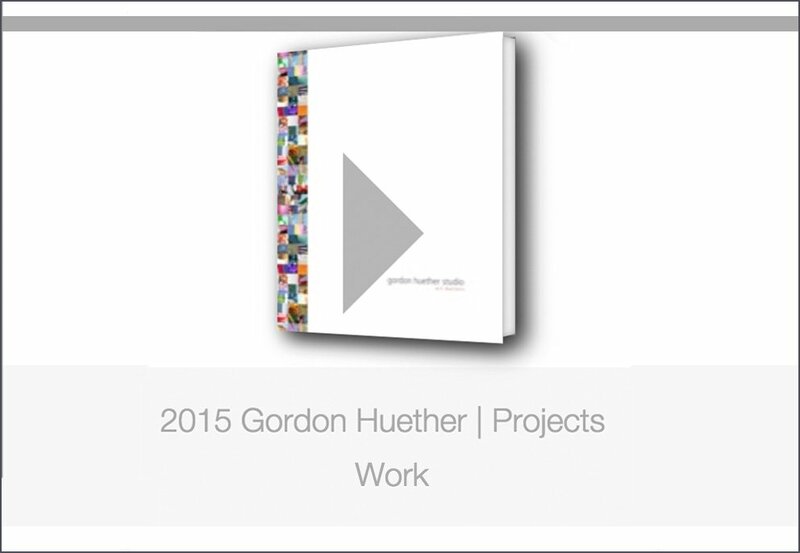 This catalog presents a selection of Gordon Huether’s fine art, sculptural work and privately commissioned work. The relationships Huether builds with commissioning clients and fine art collectors often develop into valued friendships. The artist connects to clients, collectors and friends through his work. When someone reviews an initial conceptual design or purchases a piece of Huether’s fine artwork, they not only get a glimpse of who he is and what he is about, but more importantly, they find something that they have a deep connection to, that takes root within them. If a client falls in love with Huether’s work, the artist feels lucky to have created artwork that strikes a nerve, evokes emotion, rings true to their aesthetic or adds a unique quality to their living space. 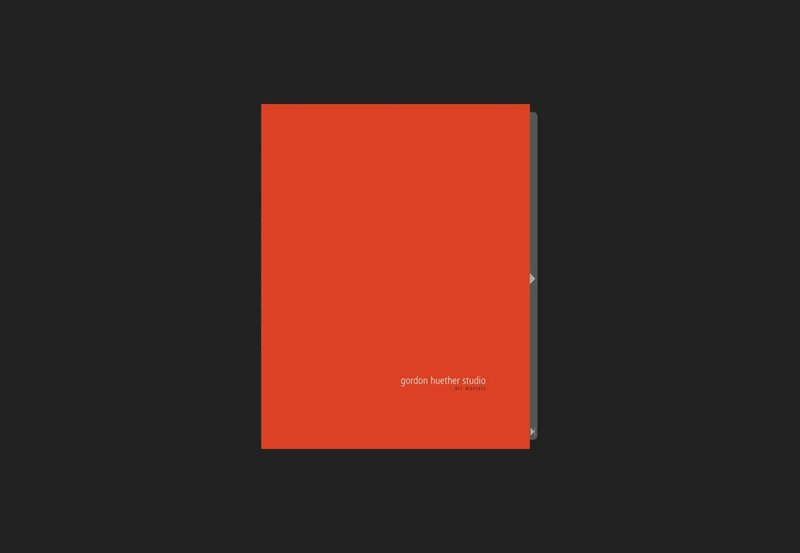 This catalog explores a selection of Gordon Huether’s large-scale, site-specific artwork, integrated into architectural structures, landscape as well as stand-alone work. The selection illustrates the projects’ different stages of development and provides insight into the many facets of Huether’s installations. Projects include suspended and stand-alone sculptures, curtain wall systems and railings, screens and art-fence walls, wall mounted applications and other architecturally integrated projects. 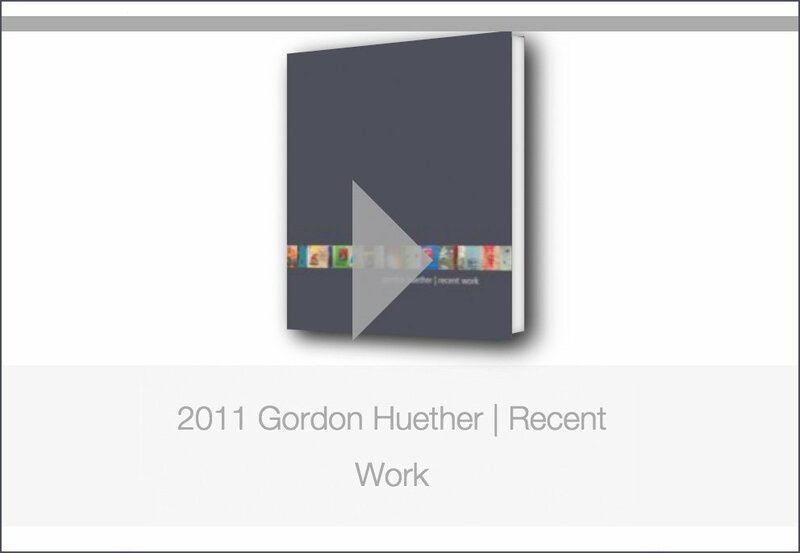 This catalog explores a selection of Huether’s fine art work. Using the seductive properties of richly saturated color, a wide array of natural and artificial light sources, luscious and diverse textures, found materials and quirky imagery, Gordon Huether’s fine art offers viewers a complex intellectual experience. These materials, translated into works of art, serve as reminders of the temporal character of man’s achievements and the awe-inspiring forces of nature.